Many Cabo regulars will tell you that November is their favorite time to visit Los Cabos. The days are still hot, the water is still temperate and the nights are warm; perfect for an early winter escape! The beaches are not too crowded yet and the marlin are still biting and the tuna are plentiful for those who like to fish. Early November sees Dia de Los Muertos celebrations and the end of November is the celebration of the begining of the Mexican Revolution. The weather in Cabo during the month of November is pretty mild. Hurricane season is over so the chance of rain is pretty slim. The temperature in November is usually high 70s and low 80s with nights dipping into the 60s. The water temperature is usually in the mid 70s in November. 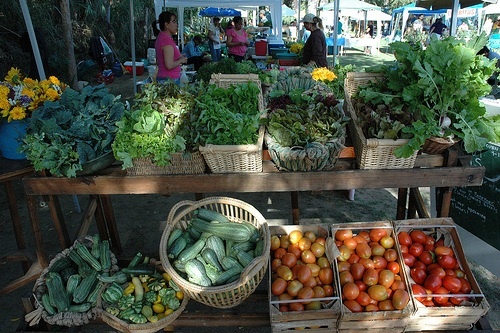 The San Jose Jose Organic Market opens the first week in November and is held every Saturday from 9am to 3pm. Products range from organic, locally grown fruits and vegetables to hand made crafts. The market, which is just east of downtown, can be a little hard to find so make sure to bring a map or have a good guide. Every Thursday night from November to May, vistors and residents can take a walk through some of the best art galleries in Los Cabos. Not only do you get to see some amazing art, but many of the galleries have events and you can meet the artists. The art walk is from 5pm to 9pm and some of the galleries offer wine and appetizers. You can take a pre-planned tour with a guide or you can find your own way with a map of the galleries participating in the art walk. There is a 30 ft waterfall right outside of Santiago in Fox Canyon which fills up with water after the rainy season. You can take a drive to Santiago and then spend the day hiking and swimming in the canyon. The actual waterfall is just down the road from the Ecological Rancho Sol de Mayo, where you can grab something to eat or drink at the restaurant. The best time to go is in November after the rain in September and October fills up the waterfall – making it perfect for swimming. There are also some nearby hot springs. Most things in Cabo are open during November. Here are some more things to do in Cabo. The Day of the Dead or Dia de Los Muertos is celebrated on November 1st and 2nd. These days celebrate those family members and friends who have passed away. While many of the festivities take place at the homes, you can see some altars in the town as well as decorations in the cemeteries. November 20th marks the begining of the Mexican Revolution. It is a federal holiday in Mexico so many banks and other businesses will be closed. (If the day falls on a weekend, it is usually celebrated the following Monday at local businesses). There will be music, fireworks and even a parade that runs through San Jose del Cabo. 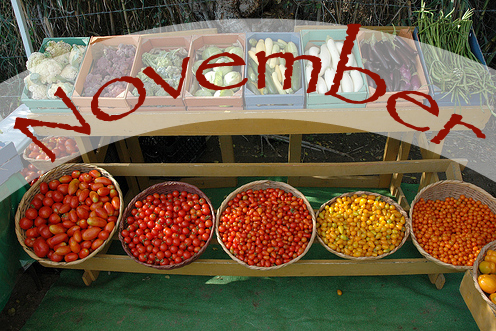 Here are more November events in Los Cabos. Have you visited Cabo in November? What did you do?